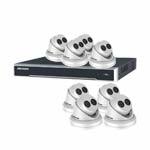 An 8 camera IP system which can provide resolutions up to 5 million pixels - that's three million more than your 1080P HD TV! This means you will get crystal clear images and have far better chance of facial recognition or reading number plates. 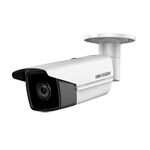 The cameras have superb night vision and can see in complete darkness up to 50 metre's, ideal if you have large areas to secure with no lighting - like some industrial estates or farm yards. It is an automated process, the cameras EXIR infrared array technology switch on automatically once the light levels drop so the camera can still see. The DS-2CD2T55FWD-I8 is IP67 rated, this means the camera is weather resistant so can be installed outdoors with no concerns of getting damaged by the rain, you can of course install them indoors also. This camera is over 29cm's long so can be easily seen, although not everyone is keen to have a large overt camera on their property - those who decide this is the model for them know it will act as a great deterrant to would be burglars. 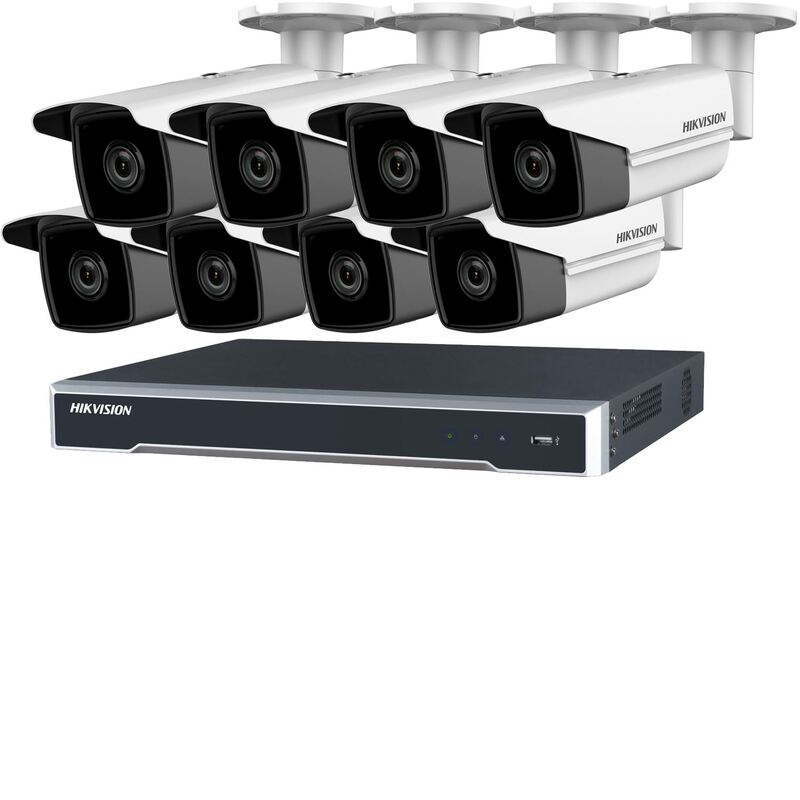 As with all of our HIKVision IP cctv systems, the cameras are PoE (power over ethernet) - but they also have a standard power connection if you require it. 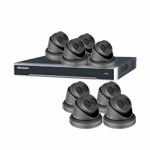 This enables you to install this kit without the need for any camera power supplies, as long as the cameras are connected directly into the Recorder, the NVR will power the cameras along the same ethernet cable used for the video stream. 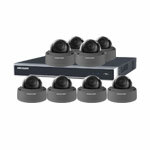 PoE can make installation true "plug & play" - simply connect the cameras to the NVR and up pops the video streams within a few seconds. Perfect for the DIY installer! Be aware PoE has a maximum working distance of 100 metre's. 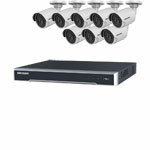 The cameras can be mounted on a wall or ceiling and then pointed in the desired direction. All of our HIKVision IP systems can be connected to your router and configured so you can remote view them over the internet from a PC / Mac or even your iPhone / Android. 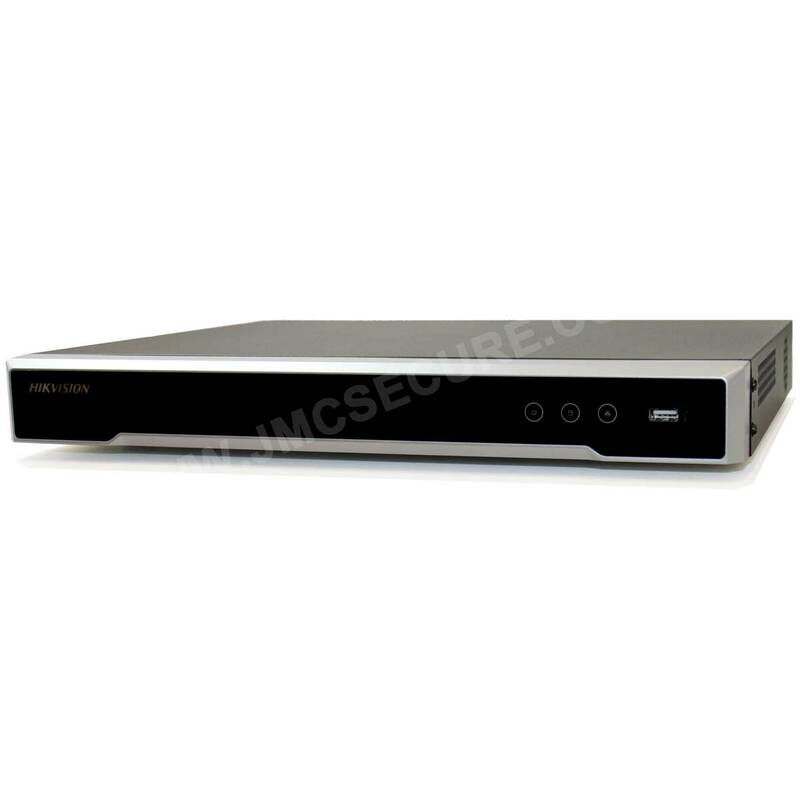 PC / Mac software usually comes on a CD with the NVR or can always be downloaded from the HIKVision website here - called iVMS-4200. For your iPhone or Android phone you can visit your app store and download iVMS-4500. You can connect up to two monitors directly into the NVR to view live feeds or playback etc. One is via the VGA connection and the second is via the HDMI connection - if you want to view in high definition be sure to use the HDMI connection and make sure your monitor is 1080P HD. There are several different views available from the NVR which includes viewing one camera in full screen - or all the cameras at the same time in split screen mode. Capture the evidence you need with crystal clear 5.0 Megapixel footage! That's more than twice the resolution of 1080P HD. A fixed lens of 4mm will give you an angle of view of 78° - perfect for wide coverage. The cameras are PoE enabled and the recorder has 16 PoE ports built in - so you do not need to worry about power supplies or additional power cable. This NVR will power the cameras via the Ethernet cable used for the video signal! Not only do you get great night vision but these cameras also have a built in ICR (IR Cut Filter Removable) which blocks infrared light during daylight so you get true colour images! Click on the "Options Help" tab for information about what cables come with the kit and hard drive recording times. 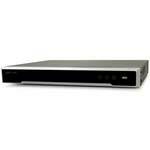 Click on below images to see full specifications of cameras & DVR (opens in new page).